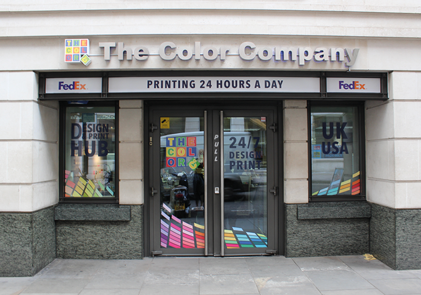 If you need a print management company that can instantly react to changes in your business at any time of the day, our Curzon Street branch is open 24 hours a day, 7 days a week. We understand how frustrating it can be when you urgently need to produce print material in a hurry and struggle to find a supplier that is available to help. It is this level of flexibility that sets us apart from our competitors and has enabled to develop long term business relationships with our clients. Businesses can call on our Mayfair location near Berkeley Square, at any time of day to find out more about our services. Our team have decades of collective experience and can provide print solutions for projects of any size. The Curzon Street branch use the latest technology to produce stunning HD digital posters and large format canvas printing. It is also where we produce or bespoke packaging, bid binders and folders for RFP’s. Customers can also take advantage of a FedEx Shipping 24-hour drop off centre to ensure rapid delivery of their material.